"Breast Cancer Awareness Address Labels" product is already in your cart. 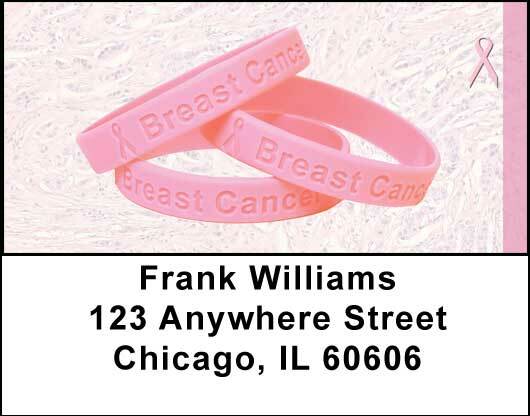 Help to conquer a terrible disease by using these Breast Cancer Awareness Address Labels. On a pale pink background these checks showcase a trio of pink silicone bracelets that helps to promote awareness of this cancer. Trimmed with a dark pink border on one side along with the familiar pink ribbon you can be a part of the solution to eradicating this disease. It will be a constant reminder to you and to everyone who receives your Breast Cancer Awareness Address Labels that we need to continue a valiant fight to eliminate the threat to everyone and it is a great tribute to survivors as well.